The Indian Express investigation shows, points who took what decision – and who did not in the Pathankot air base attack. ON Christmas Day in 1999, an Indian Airlines flight was hijacked soon after it took off from Kathmandu, by terrorists seeking the freedom of over a dozen terrorists incarcerated in Indian jails, the most important of them Masood Azhar, the cleric who would go on to found the Jaish-e-Muhammad. The Cabinet Secretary ordered the Crisis Management Group, made up of key Secretaries to the Government of India, to be summoned. The team was left to improvise as best it could. Foreign Secretary Lalit Mansingh, one insider recalls, tried calling numbers for police and airport decision-makers in Amritsar, where the plane had stopped to refuel. The numbers had changed, they discovered — and by the time new ones were found, it was too late. Punjab Police officers, meanwhile, had been asking for authorisation to block the aircraft’s exit from the parking bay, and attempt a storming — a task that they would have accomplished with ease, since the terrorists had no automatic weapons on board at that stage. The authorisation, though, never came. The memory of that affair, say those who have worked with Ajit Doval, still haunts the National Security Advisor. It was his task, along with his Intelligence Bureau colleague Nehchal Sandhu, the Foreign Service’s Vivek Katju, and the Research and Analysis Wing’s Anand Arni, to negotiate the hostage swap — handing over men he had helped track down and arrest. Did a lost walkie-talkie save the day at Pathankot? It seems a lost walkie-talkie or a handheld transceiver saved the Pathankot airbase from suffering large-scale damage. The transmitter, carried by the four terrorists who kidnapped the SP to use his vehicle to reach Pathankot, was left by mistake in the SP’s car when they disembarked from the vehicle in the wee hours of January 1. The transmitter was to be used to contact the other team of two (or more) terrorists within the base to launch a coordinated attack. A similar transmitter has been recovered from near the area where the two terrorists were killed. “The reason that the terrorists did not launch the attack even 24 hours after they arrived is because they could not contact the other team which was already inside the base or was to get in touch with them on arrival on the walkie-talkie,” said a senior Punjab intelligence officer. This day-long wait by the terrorists gave ample time to security agencies to secure the base and call in additional forces to fight the terrorists. “During their conversation in the SP’s vehicle they kept saying that their mission would be known to all by the morning, which means that they had planned to strike the minute they landed inside the base. But they did not attack till they were engaged by the security forces the next morning. It could well be because they could not get in touch with the other team,” he added. Interestingly, when SP Salwinder Singh’s car was recovered around 7 am and the walkie-talkie recovered, the military intelligence was informed by Punjab Police during their first meeting with them hours later. The military intelligence men apparently pooh-poohed the recovery saying it was a non-significant device which was available off-the-counter for use in marriages and for coordinating events. Prime Minister Modi faces his toughest foreign policy challenge after the Pathankot attacks. Wisely he has kept his options open and is learning fast on how to and who to deal with in Pakistan. New beginnings in relations between India and Pakistan have an ominous proclivity to revert to old endings. 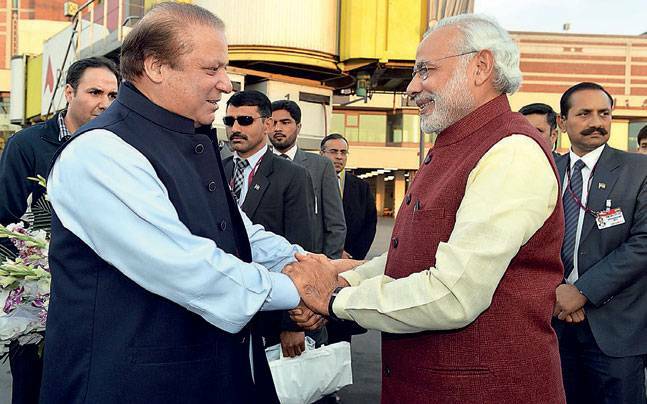 On Christmas Day, when Prime Minister Narendra Modi made a grand gesture of dropping in to greet Nawaz Sharif, his Pakistani counterpart, on his birthday in Lahore and to grace his grand-daughter's shaadi, it crowned a month of breathless diplomacy that saw the pendulum swing from a macho dushman-maro to a pappi-jhappi bonhomie with the two countries embracing the dialogue process again. A week later, on New Year's Day, the euphoria was shattered when heavily armed terrorists from across the border stormed the Air Force base in Pathankot but were foiled in their dastardly bid to destroy the squadrons of jet fighters and attack helicopters. They were eventually gunned down, after a prolonged 72-hour battle, but not before they killed seven Indian security forces personnel and exposed the alarming chinks in our preparedness to handle such terror attacks. As cries of Pakistani betrayal echoed across the country and the ghosts of 26/11 and Kargil were resurrected, Modi faced his toughest foreign policy challenge since he occupied the prime minister's gaddi in May 2014. The script with the familiar ending had been enacted before-call off foreign secretary level talks scheduled for mid-January, sabre rattle on terror and round up international support by decrying Pakistan's perfidy. Our prime minister likes coining slogans and acronyms. There was Swachh Bharat and Make in India, then Beti Bachao Beti Padhao. Now there is Start-up India, Stand Up India. The Planning Commission has become the N[ational] I[nstitution] for T[ransforming] I[ndia]. I am sure the second part of Niti Aayog must also lead to something deep and profound; perhaps Advanced and Analytical Yearning for Overall Growth? I do not know what the SMART in Smart Cities stands for, but I do know that - as the prime minister himself has told us -the SMART in Smart Police means Strict and Sensitive, Modern and Mobile, Alert and Accountable, Reliable and Responsive, Techno-savvy and Trained. The prime minister's penchant for smart slogans is not restricted to the domain of domestic policies alone. So, when it comes to future relations with our most powerful neighbour, we have INCH towards MILES, the first acronym joining India and China (naturally with Bharat Mata first, although alphabetically it should be the other way around), the second joining Millennium with Exceptional Synergy. During his election campaign, Narendra Modi was assisted by some of India's most inventive copywriters. I do not know whether the slogans and acronyms offered us after the election come from them or from the prime minister's own fertile mind. What we do know is that they come quick and fast, so fast that one has to learn and follow a new slogan before one has had time to digest and understand the slogan that came before it. Narendra Modi is what one might call a serial sloganeer. How many of his slogans will be known or remembered 10 or 20 years from now? I ask because soon we shall observe the 50th death anniversary of a former prime minister, Lal Bahadur Shastri. Shastri coined only one slogan. But it resonated then, and still resonates after 50 years. It was, of course, Jai Jawan Jai Kisan. The background to Shastri's slogan needs to be spelled out. In 1962, India suffered a humiliating defeat in a border war with China, in large part because our troops were under-prepared and under-equipped. Hence the slogan Jai Jawan, to ensure that henceforth the soldier would be at the centre of defence planning. Again, in the early 1960s, India suffered a series of bad monsoons, leading to severe droughts and crop failures. As parts of the country teetered on the brink of starvation, mass famine was averted only by the import of food from the West. And so Shastri came up with the second half of his still remembered slogan: Jai Kisan. The Indian strategy against this known enemy must be this: isolate, contain, suffocate and fight. When you know the cobra sitting in a hole, you do not extend a hand of friendship; you smoke that cobra to death. India is forced to fight the battle on its own soil, not in the enemy’s territory. After each attack, Home Minister Rajnath Singh says: “We will give a befitting reply.” India waits for the enemy to attack so that it can offer a reply. Contrary to us, the enemy is on the offensive. India’s character is peaceful. As a result, for thousands of years, foreigners have invaded us. There’s no point in saying the same thing after every crisis that nobody in state or central government learns from previous such fiascos. This is an institutional reality and a cross the Indian people bear with amazing stoicism, because there’s not a hint from anyone in govt that some serious reorganization will be afoot to integrate intelligence services and counter-terror activities of innumerable central and state agencies, and of Operating Procedures standardized across all situations to be followed by every agency so each crisis is not dealt with as sui generis requiring specialized treatment. The NTRO/NATGRID, perhaps, picked up the first clues, NIA passed them on to the state — but whether also to BSF guarding the LoC from Gurdaspur to Pathankot, is not at all clear and, even if it did, nothing in any case was done. Further, there was no centralized counter-terror organization to immediately take over as the command post — the sort of role the Anti-Terrorism Centre mooted by the predecessor Congress party govt was supposed to play, but cannot because it is hollow. (1) The Gurdaspur-Pathankot sector has seen as many as five such terrorist intrusions since 2013, so why has this area been the sector of choice for ingressing into India? If BSF claims some of the photographic sensors were off — have these been off line since the first of these incidents in 2013? If so, why did BSF not immediately repair/replace the sensors? And while BSF is in the line of fire, why hasn’t the DG, BSF, along with the Kashmir head of the force, and the sector commander not been summarily dismissed and charged with criminal negligence? (2) Superintendent of Police, Gurdaspur, Salwinder Singh — consider this: He stops his official car with the blue VIP light on the roof self-importantly flashing to, what amounts to, giving a lift to the four terrorists (in this team) — surely against all rules and even common sense. He then somehow talks himself out of captivity — sweet talker this!, is dropped off conveniently in the dark even as his travelling companion is knifed and thrown out of the car, while the SP’s cook is let off. Salwinder then promptly informs the higher ups in Punjab Police about the intruding terrorists on the prowl. But his call is disbelieved because of the SP’s “colourful” nature/past/record (not clear which, but his jeweler companion in this night time journey hints at colourful being a synonym for corrupt). The seriously troubling aspects are whether Salwinder, the BSF sector commander, and the rest of that bunch were not Keystone Cops by design, meaning, that perhaps they all were on the payroll of the Pakistani ISI/underworld smuggling drugs and dope into Punjab and the rest of India, which route was occasionally used to funnel in terrorists instead. This needs investigation and harsh follow-up action. Could Salwinder have been posted there by an Akali Dal govt minister reputed to be the “dope king” of Punjab to ease the illegal heroin flow through this part of the border? (3) Parrikar in Pathankot mentioned that the five Defence Security Corps (DSC) personnel were gunned down because of “bad luck”. As a former DCOAS told me the DSC is manned by “army discards”. Even so, could they be so devoid of the basic soldierly competence to saunter into the terrorists’ gunsights? (4) And where was the IAF’s Garud Special Force — other than the one person who was killed in the exchange of fire, and how did it perform its duties over the expanse of the air base stretching over 2,000 acres and with a nearly 30-mile long perimeter without any CCTVs mounting a 24/7 watch not just over the aircraft on the tarmac, but the rest of the base as well? (5) And, finally, for what reasons was the NSG judged by NSA Doval as the potentially more effective force to deal with the heavily armed terrorists than the army units in the vicinity and familiar with the terrain specifics, and definitely having as much competence, if not more, in defusing explosive packages? It is perhaps explosives handling that the DG,Punjab Police was hinting at in his press meet this evening when he talked of why NSG came onto the scene rather abruptly. The attack on the Indian Air Force base in Pathankot is becoming a big test case for both the prime ministers of India and Pakistan. Indian PM Narendra Modi took a big initiative on December 25, 2015 by meeting his Pakistani counterpart in Lahore. They agreed to restart the peace process with some new initiatives. They also discussed possible threats to the peace process. They assured each other that the process would not be derailed in case of any attack in India or Pakistan and that they would not blame each other without evidence. Their apprehensions came true. Within a few days of the Lahore meeting, there was the Pathankot attack and a real test for the two PMs started. India blamed some Pakistanis for the attack, but never blamed the Pakistani government. Pakistan not only condemned the attack but also termed it a conspiracy against the peace process. No rash statements, unlike in the past. On the evening of January 5, Modi clearly told Nawaz Sharif over a phone call that he wanted action against the attack’s mastermind within the next few hours. Nawaz explained that he was not in Pakistan but in Sri Lanka — and that he could take concrete steps only after returning to Islamabad. He praised the maturity shown by the Indian government in not blaming the Pakistani government without evidence. The next day, Pakistan’s army chief, General Raheel Sharif, chaired a corps commanders conference in Rawalpindi and reiterated zero tolerance for terrorist organisations. Nawaz reached Islamabad on the evening of January 6 and, the following day, asked all concerned authorities to verify the information provided by the Indian side and take action. Credible sources in Lahore claimed that the Punjab (Pakistani) police and some security agencies had begun raids in the southern parts of the province in the light of the information provided by India. The focus of the raids was the leadership of the banned Jaish-e-Muhammad (JeM). A big announcement may come in the next few days, but only after the verification of the information provided by India. 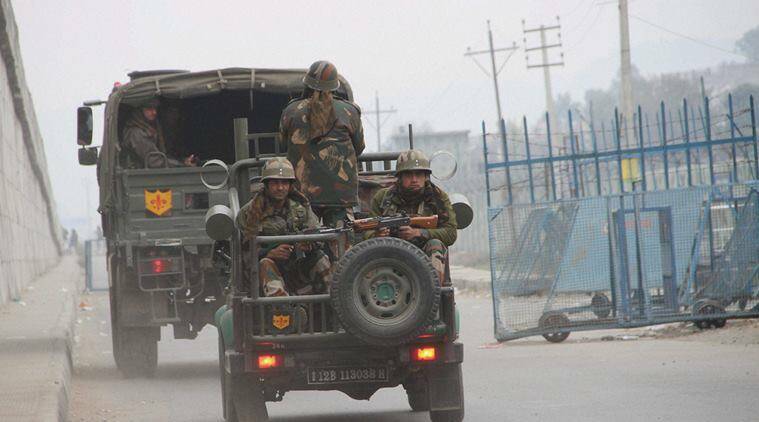 There are lots of questions being discussed in the Indian media about the Pathankot attack. The Indian media is criticising Pakistan every hour, but the Indian PM had warned his Pakistani counterpart in Lahore not to make policies according to TV headlines. Nawaz is not concerned about allegations of a “double game” levelled against his government by certain Indian TV channels. He thinks the Indian PM should take care of the Indian media and looks committed to taking action against those who tried to derail the peace process by using Pakistani soil to destabilise the neighbouring country. Former BSF DG and security adviser EN Rammohan on Thursday said heroin smugglers from Pakistan bribe BSF and the recent terror attack on our air base is the result of the alleged drug cartel-terrorism nexus. 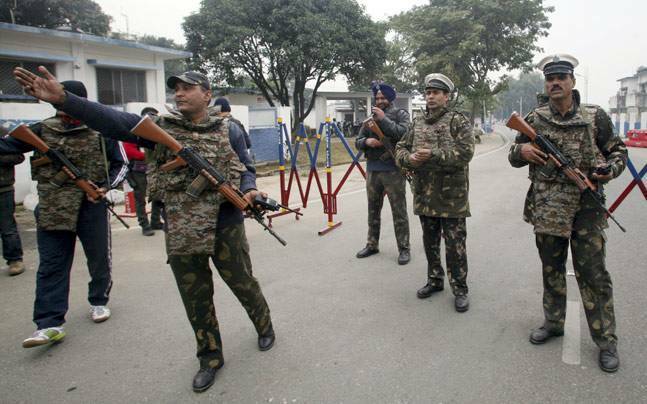 The recent terror attack on the IAF's Pathankot base has exposed chinks in the country's security armour. 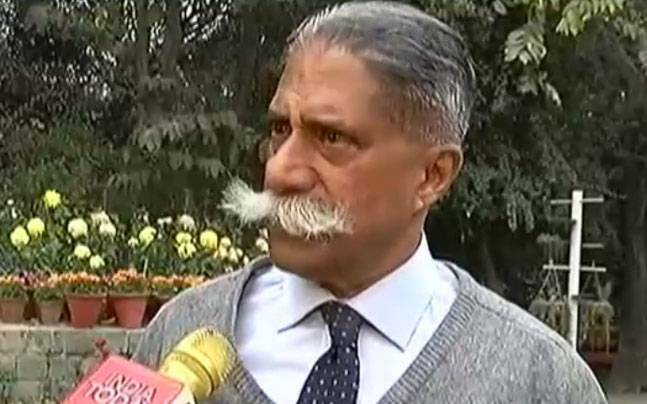 Former Border Security Force (BSF) DG and security adviser EN Rammohan on Thursday told India Today Television that corrupt BSF officials are hand-in-glove with drug rackets active in Punjab and they helped the Pakistani terrorists sneak into India from the border with Pakistan. Rammohan on Thursday made damning charges on the alleged mishandling of intelligence reports and lapses on part of the BSF while the paramilitary force zeroes in on two intrusion theories - a tunnel on the Punjab border and Kashmir route. Rammohan said heroin smugglers from Pakistan bribe BSF and the recent terror attack on our air base is the result of the alleged drug cartel-terrorism nexus. "There is money in this. And, a small percentage of BSF officials are involved in this," Rammohan told India Today Television. "Money can buy the personnel of BSF on the ground. There are cases where officers have succumbed to temptation of money. It is not only that the politicians are corrupt... There is no shortage of equipment, no shortage of thermal imagers, no shortage of personnel, nothing," Rammohan added. However, the BSF rejected Rammohan's smuggling theory and made it clear that it did not find any breach anywhere in the fence in 20-km stretch of border. 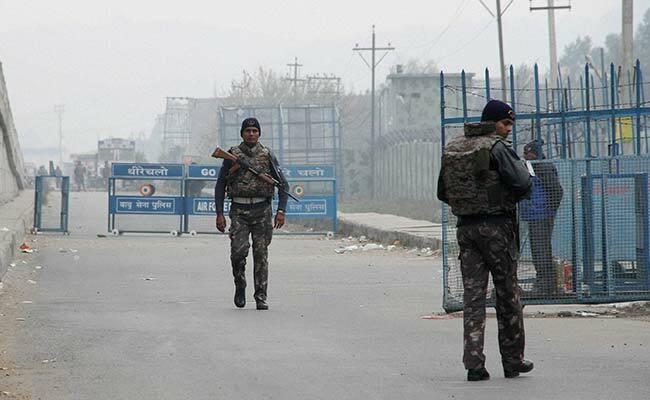 The paramilitary force, which will submit the internal probe report on Pathankot terror attack within a fortnight, also rejected that some corrupt officials inside the security force helped the terrorists to sneak into Indian territory. BSF speculates, the terrorists might have used a tunnel on the Punjab border to sneak into India or have come all the way from Jammu and Kashmir to launch a Fidayeen attack on the IAF base in Pathankot, Punjab. The fact that Mehbooba’s rule will be different from her father should be a given. Missing will be Mufti Sahab’s patience, tolerance and wisdom, all the more reason that Delhi needs to be more focused on Kashmir and by the new Chief Minister’s side at all times. Time has come for the next generation in Kashmir. Troubles have a knack of coming together. Since the BJP is in power in both the crucial border states of Punjab and Jammu and Kashmir, Modi cannot pass the buck elsewhere. Herein lies the significance of Mufti Sahab that Delhi will sorely miss at this juncture. 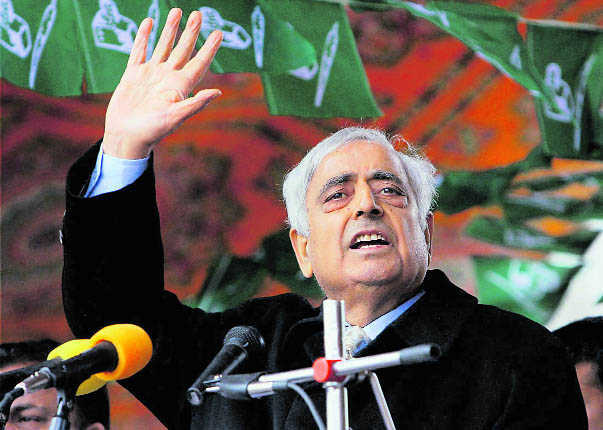 By the summer of 2014, Mufti had emerged as a big regional player in Kashmir when the PDP won all the three Parliament seats in the Valley. The Indo-Pak issue is obviously the bigger problem which also always reflects in Kashmir. When asked how Mufti's passing away would impact Kashmir, the typical Kashmiri response was that leaders come and go; those who are born are bound to die. And in the Kashmiri perception, Mufti had more then had his innings — such is the alienation and cynicism there. The social media has been vitriolic, almost toxic in its criticism of Mufti Sahab for allying with the BJP. The bigger question in the Kashmiri mind is which way the Indo-Pak process is headed. Therein lies a lesson for Delhi, if we will heed it. Dialogue and engagement in Kashmir needs to be inclusive, going beyond the mainstream and “nationalists”. That in a sense is the legacy of Mufti Mohammad Sayeed. Mufti Sahab was nothing if not a patriot and yet people in Delhi had doubts about him. Not surprisingly, he was bowled first ball in his second innings on March 1, 2015, after scoring a century in his first innings on his maiden appearance as Chief Minister in 2002. Then he had stood his ground on the vital interests of Kashmir and his “healing touch” provided the much-needed relief to war-torn Kashmir. It was a pity that the Congress removed him in 2005, citing the three years rotational process. He had much more to offer then both to Jammu and Kashmir and India. In 2015, Mufti Sahab was 10 years older and weaker in spirit. Even though he was maligned in Kashmir for allying with the BJP, it was the only option the 2014 assembly elections left him with; he had learnt from Farooq Abdullah the need to stay on the right side of Delhi. But Delhi never understood Mufti's predicament nor his long periods of silence. Mufti Sahab never got the support he desperately needed; even the flood relief which may have provided him an alibi never arrived in time. In the bargain, the PDP lost ground in Kashmir as did the BJP in Jammu and terrorism grew both in the valley and south of Pirpanjal, right up to Punjab. So too did radicalism, cramping moderate space in Kashmir; Mufti's ultimate nightmare as much as he feared for the lives of young separatist leaders. As we turn a new page, both Srinagar and Delhi need to reflect why they are not in permanent engagement and who it benefits most. As the old guard makes way for the new, Mehbooba Mufti who has thankfully been unanimously approved the successor both in Delhi and Srinagar will find big shoes to move into. The succession has been on the cards for at least the last three months as Mufti Sahab's health began to fail. There is no reason to believe that Mehbooba will not be an able successor such has been her apprenticeship in Parliament, the state assembly and the household where she has done considerable backseat driving in 2015 as a her father's frailties began to show up. The very fact that she has been unanimously elected the leader by the party despite all the recent murmurs of dissent is a tribute to Mufti Sahab and Mehbooba's growing stature as a politician. That she will be the first woman Chief Minister of Jammu and Kashmir is to be welcomed. Women in Kashmir, however, are as progressive, enlightened and emancipated as anywhere else and Mehbooba is not the first woman to join politics. Long ago during Kashmir's “freedom” struggle, Madar-e-Meharban was catapulted into politics and continued to play a key role in the National Conference up to her dying days. Likewise, Zainab Begum, G M Sadiq's sister, was a minister in Sayed Mir Qasim's government, not to mention Sakeena Itoo, Khemlata Wakhloo, Asiya Nakash and others. Mehmooda Ali Shah, the principal of Women's College Srinagar, a politician in her own right, was known to be close to Prime Minister Indira Gandhi who appointed her joint secretary of the AICC. The fact that Mehbooba's rule will be different from her father should be a given; missing will be Mufti Sahab's patience, tolerance and wisdom, all the more reason that Delhi needs to be more focused on Kashmir and by the new Chief Minister's side at all times. We are all set to witness a more exciting period of politics in Kashmir. Mehbooba has always been everywhere. A woman of substance and considerable political experience, there is no reason that she should not make an impact. Time has come for the next generation in Kashmir. Sunil Raman is a former BBC journalist and heads Public Affairs for Hill & Knowlton Strategies in India. If India enters the Afghanistan-Pakistan Trade and Transit Agreement, it will boost regional trade and connectivity—both priorities of the Modi government. But Pakistan stridently opposes India’s entry into the agreement. What are the alternatives? At the ‘Heart of Asia’ conference in Kabul on 9 December 2015, Indian Minister for External Affairs Sushma Swaraj reminded the audience about the historic links between India, Pakistan, and Afghanistan, and expressed New Delhi’s readiness to join the Afghanistan-Pakistan Trade and Transit Agreement (APTTA). She said greater connectivity with Afghanistan will help economic growth and aid South Asia’s integration. Increased and easier South Asian connectivity, starting with a road network, has been one of the priorities of Prime Minister Narendra Modi, who has discussed with Afghan President Ashraf Ghani the merits of land links with India. Any overland route between Afghanistan and India via Pakistan would be cost effective and mutually beneficial. Easy access through Pakistan will enable Afghan goods to be trucked to India, and on the way back the trucks can carry goods from India to Afghanistan. That will increase official trade as well as reduce dependence on Dubai as a conduit (using the sea or air routes) for conducting business between the two countries. India-Afghanistan bilateral trade in 2013-14 was worth $683 million ($474 million of exports and $209 million imports by India). India is the second largest destination for Afghan exports, despite the lack of direct transit access. Clearly, the trade potential is tremendous, and for this a land route is critical. While Afghanistan backs India’s entry into APTTA, Pakistan, a key player in Afghanistan’s politics, has been stridently opposed to India’s entry into what it believes is a bilateral agreement. Kabul understands the tremendous benefits to its economy and people if the land route to India is opened up, and the Afghan government has often asked that its trucks be allowed to travel to and from the Wagah border into India. But Pakistan has consistently turned down this request. Instead, Pakistan has demanded Tajikistan’s entry into the agreement, which would open Central Asia to both New Delhi and Islamabad. This is largely a decision of the Pakistan military, which has a voice in policies that concern New Delhi. Pakistan believes that the access enabled by APTTA will give India a greater say in Afghanistan’s affairs and have security implications for Islamabad. Besides, access by road, Pakistan’s industry fears, might allow Indian goods to be smuggled in large quantities, thereby impacting business. New Delhi: The terror attack at the Air Force base in Punjab's Pathankot and the strike on the Indian Consulate in Afghanistan's Mazar-e-Sharif are linked, sources have said. "The attacks are linked and India has evidence," a senior security official told NDTV. Sources say the terror group Jaish-e-Mohammed was used by a section within Pakistan to carry out the strikes in both Pathankot and Mazar-e-Sharif. India has reportedly identified the chief of JeM as one of the handlers of the terrorists who launched the attack at the Pathankot base. "The twin attack essentially tries to derail Prime Minister Narendra Modi's Afghanistan- Pakistan Policy," the official said and added "thorough investigation of the leads provided by India would surely lead Pakistan to them." Talks between the National Security Advisers of India and Pakistan, ahead of the scheduled crucial meeting of Foreign Secretaries of the two countries this month, may take place if the leads given to Pakistan on the Pathankot attack are acted upon by Islamabad. "At the very minimum, we expect terror handlers are arrested and those behind the attack are tracked down," a top security official told NDTV. Amid tension in India-Pakistan ties following the Pathankot terror attack, another factor could add to the unease in ties – a reported move by Islamabad to upgrade the constitutional status of the Gilgit-Baltistan region, which India claims as part of the entire state of Jammu and Kashmir and an integral part of India. The reported proposal to include Gilgit-Baltistan, a mountainous area of Jammu and Kashmir occupied by Pakistan, for the first time in Pakistan’s Constitution would bring the area a step closer to being fully absorbed as an additional province. The move reportedly comes on the insistence of China which has voiced concern over constructing the mega $46-billion China-Pakistan Economic Corridor that would pass through the disputed Gilgit-Baltistan region. The CPEC, to which India has voiced its strong objection, plans to link China’s Kashgar city in Xinjiang province to the Pakistani port of Gwadar on the Arabian Sea. External Affairs Minister Sushma Swaraj in June last year had termed the CPEC project “unacceptable” for passing through Pakistan-Occupied Kashmir. In the Gilgit Baltistan segment, the CPEC project design is set to include a major expansion of the Karakoram Highway, establishing industrial parks in special economic zones, constructing hydropower projects, railway line and road building. The project also entails building hydropower projects and motorways and highways in what Pakistan calls Azad Jammu and Kashmir (AJK). SAN FRANCISCO (Reuters) - Microsoft Corp experts concluded several years ago that Chinese authorities had hacked into more than a thousand Hotmail email accounts, targeting international leaders of China’s Tibetan and Uighur minorities in particular – but it decided not to tell the victims, allowing the hackers to continue their campaign, according to former employees of the company. On Wednesday, after a series of requests for comment from Reuters, Microsoft said it would change its policy and in future tell its email customers when it suspects there has been a government hacking attempt. The company also confirmed for the first time that it had not called, emailed or otherwise told the Hotmail users that their electronic correspondence had been collected. The company declined to say what role the exposure of the Hotmail campaign played in its decision to make the policy shift. The first public signal of the attacks came in May 2011, though no direct link was immediately made with the Chinese authorities. That’s when security firm Trend Micro Inc announced it had found an email sent to someone in Taiwan that contained a miniature computer program. The program took advantage of a previously undetected flaw in Microsoft’s own web pages to direct Hotmail and other free Microsoft email services to secretly forward copies of all of a recipient’s incoming mail to an account controlled by the attacker. Trend Micro found more than a thousand victims, and Microsoft patched the vulnerability before the security company announced its findings publicly. Microsoft also launched its own investigation that year, finding that some interception had begun in July 2009 and had compromised the emails of top Uighur and Tibetan leaders in multiple countries, as well as Japanese and African diplomats, human rights lawyers and others in sensitive positions inside China, two former Microsoft employees said. They spoke separately and on the condition that they not be identified. Some of the attacks had come from a Chinese network known as AS4808, which has been associated with major spying campaigns, including a 2011 attack on EMC Corp’s security division RSA that U.S. intelligence officials publicly attributed to China. The ancient religious split can only take us so far in understanding what's going on between Riyadh and Tehran. In recent days, news of Saudi Arabia’s execution of the Shia leader Nimr al-Nimr, and the diplomatic clashes with Iran that followed, has often been accompanied by an explanation that, in simplified form, goes something like this: The schism between Sunni and Shia Islam is an ancient one, expressed today in part through the rivalry between Sunni Saudi Arabia and Shia Iran. Those two countries are intractable enemies—“fire and dynamite,” as one Saudi journalist memorably described them. Their proxy battles and jockeying for leadership of the Muslim world have ravaged the Middle East and, as has been vividly illustrated this week, could yet ravage it further. Frederic Wehrey doesn’t buy that narrative. A scholar at the Carnegie Endowment for International Peace who researches identity politics in the Persian Gulf, Wehrey believes the execution of Nimr, rather than being the latest salvo in the Saudi-Iran shadow war, was primarily motivated by domestic politics in Saudi Arabia. Specifically, the Saudi royal family wanted to appease powerful Sunni clerics angered by the kingdom’s cooperation with the United States in the fight against ISIS, a Sunni jihadist group. Last week's Security Weekly began our 2016 "Gauging the Jihadist Movement" series with a discussion of the status of the al Qaeda portion of the movement. As in prior years, we are considering jihadist goals along with theories of insurgency and terrorism to measure the status of the various components of the global movement. The jihadist movement's objectives can be found here, and a discussion of terrorist and insurgent theory here. This week we will turn our attention to Islamic State's wing of the jihadist movement. First, however, it is important to establish a definition of what it is we are assessing. Many people have called the Islamic State "the world's most powerful terrorist group" or "the richest terrorist group in history." I believe that both of these definitions are incorrect. The Islamic State is far more than just a terrorist group. It is much more accurately defined as a militant organization that does employ terrorism, but also conducts guerrilla warfare, hybrid warfare and conventional warfare. Moreover, it has established a proto-state over a wide swath of Iraq and Syria. Anyone who defines such an organization as merely a "terrorist group" is going to have a hard time accurately assessing it. As we noted last year, despite the Islamic State's pointed criticism of al Qaeda leader Ayman al-Zawahiri, the organization has roughly followed the plan al-Zawahiri laid out in a 2005 letter to Abu Musab al-Zarqawi, head of al Qaeda in Iraq. Al-Zawahiri wrote: "It has always been my belief that the victory of Islam will never take place until a Muslim state is established in the manner of the Prophet in the heart of the Islamic world." He also noted that the first step in such a plan was to expel U.S. forces from Iraq. The second stage was to establish an emirate and expand it into a larger caliphate. The third stage was then to attack the countries surrounding Iraq (Saudi Arabia, Kuwait, Syria and Jordan) in order to bring them into the caliphate. The fourth step was to use the power of the combined caliphate to attack Israel. Every so often, the issue of including Yemen in the Gulf Cooperation Council, or GCC, is floated. A regional unity project gathering the oil-rich Arab monarchies of the Gulf—Bahrain, Kuwait, Oman, Qatar, Saudi Arabia, and the United Arab Emirates—the GCC has long been seen as an exclusive club of the wealthiest Arab states. For cash-starved Yemen, accession to the GCC has accordingly been a highly prioritized goal, in the hope of securing ties to its rich neighbors and improving its own security. But the GCC’s members have been reluctant to allow Yemen in. The eruption of major political strife in Yemen in 2011 would seem to have taken the issue off of the table for good, but since the Saudi-led March 2015 intervention in Yemen’s civil war, debate on the country’s relationship to the GCC has paradoxically returned. There have been calls from some voices in the Gulf countries to commit to a policy of including Yemen in the GCC once the war is over, such as the famous Saudi journalist and former director of the al-Arabiya satellite channel Abdulrahman al-Rashed. Rather than scoffing at the idea of Yemeni membership in the GCC, the Gulf Arab nations should realize that closer integration of the states of the Arabian Peninsula is a historic opportunity—one that they have failed to seize, time after time. The exclusion of Yemen from the GCC has left the Arabian Peninsula divided. It has limited the natural social and cultural reach of the current GCC members, while stifling regional trade and economic growth. Ever since Saudi Arabia executed Shia Cleric Nimr al-Nimr for terrorist offences, tensions between Iran and Saudi Arabia have been escalating by the day. After the execution, the Saudi embassy was stormed by protesters in Tehran. Riyadh has now severed diplomatic relations with Tehran - and the UAE, Bahrain and Sudan, staunch Saudi allies, have followed suit, spurred on by Iran's portentous prediction of "divine vengeance" for the execution. "The Saudi government has damaged its image, more than before, among the countries in the world, in particular [among] Islamic countries, by this un-Islamic act". The concerns that led to Sheikh Nimr's execution - that he was an agent of "foreign meddling" in the kingdom - are not new. A Shia cleric who spent time in Iran and Syria, Nimr was an outspoken critic of the house of Saud and played a prominent role in the 2011 uprisings in the Shia-dominated Eastern Province. But the tension goes deeper than that. Relations between Riyadh and Tehran have been tense ever since the Islamic Republic of Iran was established in the revolution of 1979, adding religious competition to a burgeoning geopolitical rivalry. Since the revolution, the Gulf's Sunni governments have long been concerned that Iran would seek to manipulate Shia populations across the Middle East, whom are often viewed as "fifth columns". This suspicion was perhaps best articulated by King Abdullah of Jordan, who in 2004 referred to a "Shia Crescent", an Iranian sphere of influence stretching from Iran to Lebanon. This was furthered by Iranian complicity in a number of subversive acts, including an attempted coup d'etat in Bahrain in 1981, an attempted assassination of the Emir of Kuwait in 1985 and the establishment of a Hezbollah franchise in Hejaz, in western Saudi Arabia, two years later. As a consequence of this fear, in recent years, Saudi Arabia and Iran have become embroiled in a number of proxy conflicts, as collapses in political order elsewhere opened up new chances to compete for influence. It’s a scenario that has long worried cyber security experts. Experts say they have established the world’s first known case of a cyber attack on a power grid, which cut power to more than 600,000 homes in Ukraine in late December. US intelligence agencies and cyber security experts are looking to Russia as the likely source of the attack. Ukraine’s security service and government blamed Russia for the attack, and launched an investigation. According to Shane Harris at The Daily Beast, experts at the CIA, National Security Agency and the Department of Homeland Security are also investigating whether samples of malware recovered from the company’s network indicate that the blackout was caused by hacking and whether it can be traced back to Russia. If confirmed, it would be the first international cyber attack to cause a power outage. On Monday, Jan. 4, researchers from the global cyber security company iSIGHT and antivirus firm ESET claimed they had samples of the malicious code that affected three of the region’s power companies, causing “destructive events,” Ars Technica reported. a. How can we make it harder for terrorists to leveraging the internet to recruit, radicalize, and mobilize followers to violence? Lars Syll has brought my attention to a very interesting exchange between Jamie Galbraith and Paul Krugman from 1996 that is archived on the latter’s website (or a website created for him, I cannot tell). Much of the discussion is on long dead arguments from the 1990s that now look as antiquated as early episodes of Friends. But there are two things that are interesting about the debate. First of all, in retrospect, it looks to me like Krugman is on the wrong side of pretty much every issue. He seems cavalier about the rising income inequality in the US — something he has since renounced (but only due to reality really beating him over the head). He shrugs off a falling labour share in national income — something which has since become so obvious that not even the flashiest debater could cover it up. At one point his support of Pete Peterson’s Social Security privatisation campaign is mentioned (yep, old Pete Pete was selling that hoary “Social Security is imminently broke” line back in ’96 and Krugman at one point fell for it). There also seems to be a sense with Krugman that the Washington Consensus would lead to general prosperity, although it is hard to pin — one year before the Asian crisis and the subsequent fracturing of said consensus. And then there’s the move toward a budget surplus by the Clinton administration; something now argued by many to have precipitated the rise in private sector debt that ultimately led to the financial crisis of 2008. Krugman really was swimming one way while the tide of history was washing the other. And the confidence with which he asserts himself, the sureness that he is right and that all his opponents are just making “simple arithmetic mistakes” (seriously, read the exchange) is nothing short of embarrassing in retrospect. Hell, it’s even embarrassing at the time! Krugman readily admits he fell for the Peterson propaganda! The White House will attempt to enlist Silicon Valley’s major technology firms in its efforts to combat terrorism on Friday when a delegation of the most senior intelligence officials fly to California to meet with executives from companies including Facebook, Twitter, Apple, Microsoft, YouTube and others. A copy of the agenda obtained by the Guardian indicates the White House seeks more or less to channel Silicon Valley’s talent into its war against Islamic State and other extremist groups. Barack Obama’s chief of staff, Denis McDonough, will lead a delegation that will include National Security Agency chair Admiral Mike Rogers and the director of national intelligence – America’s top spy James Clapper. FBI director James Comey also will attend. According to people familiar with the meeting, it will take place at 11am PST in a government building in San Jose, just south of where many of the firms are headquartered. Other tech participants include LinkedIn and Dropbox, two of the people said. None of the individuals who briefed the Guardian were authorised to speak about the meeting on the record. It was not immediately clear which tech executives would be attending the meeting. The gathering could mark either a new escalation in the standoff between the Obama administration and Silicon Valley or a thaw in tensions, which have been ongoing in the wake of disclosures from NSA whistleblower Edward Snowden. Almost every day that fall, I looked out the window and watched cars lined up for fuel - if the gas station had fuel to sell. The story began earlier in 1973 - August, to be exact. In Riyadh, Saudi Arabia, Egypt's then-president Anwar Sadat met with Saudi King Faisal. The two men negotiated a deal in which Egypt would attack Israel in October in what would become the Yom Kippur War. Saudi agreed to coordinate Arab use of oil as a "weapon" as part of the military conflict. We've lived with the results of that Saudi-Egyptian deal for over 40 years, but as I'll explain below, it's now coming to a crashing end. Not a moment too soon, some might say. OPEC Wreck: Allow me to digress. Have you filled the gas tank of your car lately? Right now, motor fuel is about as cheap as it's been in many years. Not long ago in Baltimore, for example, I paid under $2 per gallon for gas, including tax. In fact, if you're paying more than $2 per gallon almost anywhere in the country, it's not the cost of oil (or the cost of refining or transportation). Gas over $2 is likely because of high fuel taxes in your state. Well, oil is cheap and - likely for a while - getting cheaper. What's happening? Well, let me be blunt: OPEC - OPEC being the Organization of the Petroleum Exporting Countries - is a wreck. It's headless - it's been beheaded, so to speak, and to use a perhaps disturbing contemporary analogy. Much of the national security leadership of the Obama administration is flying to California to seek tech firms’ help in figuring out how to thwart terrorists who use the Internet to recruit and radicalize people and to plan attacks, according to U.S. officials. Among those set to attend a meeting Friday with Silicon Valley top executives are Attorney General Loretta E. Lynch, FBI Director James B. Comey, Obama counterterrorism adviser Lisa Monaco, Director of National Intelligence James R. Clapper Jr., National Security Agency Director Michael Rogers and Deputy Secretary of State Anthony J. Blinken. Companies planning to send senior executives include YouTube, Facebook, Twitter, Microsoft and LinkedIn. Apple chief executive Tim Cook is also expected to participate. The officials see it as a bull session to learn how they might use technology to “disrupt paths to radicalization to violence” and “identify recruitment patterns” as well as to measure efforts to countering radicalization, according to an agenda obtained by The Washington Post. They are also interested in knowing how they can encourage others to publish content that would “undercut” the Islamic State’s message online. How Many Bombs Did the U.S. Drop in 2015?